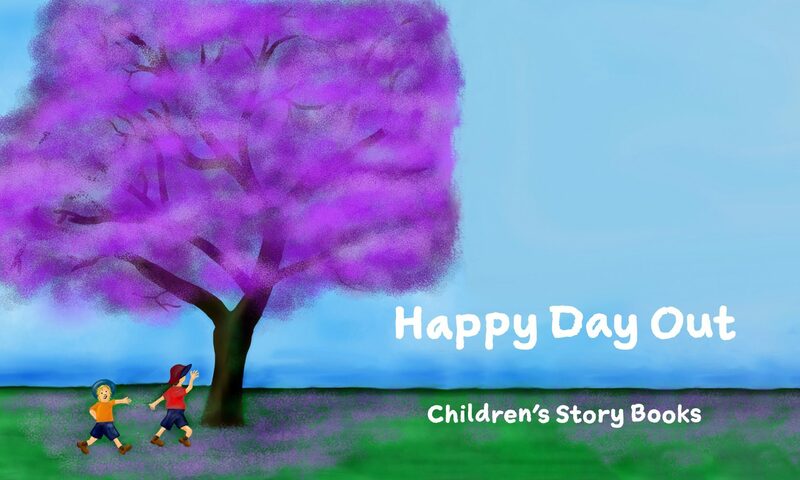 It was about 12 months ago that the Illustrator for Happy Day Out in Toowoomba, Laura, started her sketching. It was her idea to put a Pelican into the sketch for the Lake Annand page, and I went with it! I know, right? 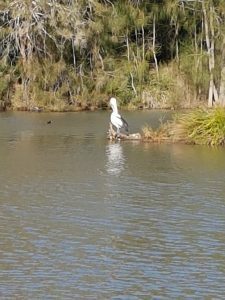 A Pelican in Toowoomba! We are about 180 kms from the nearest beach, what are the chances of a Pelican being spotted? But hey, these gracious large water birds do head inland at times I said to myself! I remembered at School doing a study on the mysteries of the Australian Pelican, and on occasions they congregate inland to breed. This is a children’s story book after all, and I told myself there is nothing better than imagination, a little magic and fairytale. As the sketches were being finalized, the Pelican page (as I referred to it) quickly became one of my favourites and as I stared into the page I could almost see the characters Finn & Henry moving around feeding the ducks and laughing and yelling out “there’s a Pelican”. In early September 2017 we were only weeks away from finalising the book. The draft was with the Editor having its final touches and we were getting ready to send to the printers. It was the same time I took the boys to the Water Bird Habitat, in Toowoomba, to feed the ducks. The water bird habitat is only meters from Lake Annand and shares the same water system AND what should be there….yep you guessed it, A PELICAN!! I called it my good Omen and I was excited to see a pelican in all its glory in Toowoomba! I was more excited than the kids! It was tranquil watching the Pelican sit on the edge of the lake, having travelled so far from home. It was almost the magic of the fairytale in the book had come true. It got me thinking just what do Pelicans eat when they are inland? Are the fish big enough? After some research I understand that whilst fish are the preferred option for Pelicans, occasionally they will eat amphibians, turtles, crustaceans, insects, birds and mammals….so look out little birds at the Waterbird Habitat! And for those interested, according to Google the Pelican symbolizes social responsibility and active attributes, such as social, teamwork, charity, generosity and friendliness. This is because these birds are highly social and reliant upon their groups. If you are out and about today with the kids, keep an eye out for a Pelican, even if you don’t live near the beach.